WordPress a great tool for creative writers and an amazing blogging platform for the people who want to publish their own thoughts, happenings, news, gossips, videos etc. in online. Being an Open Source tool, wordpress has got many plugins, themes to improve the blogging or CMS platform to use it for multiple purpose like for eCommerce, Blogging, Directory, News, Videos etc. Here I have collected some cool, amazing and professional looking WordPress News Themes by which a blogging platform can be converted into complete news and magazine portal. In this list you can find some top sites super clone themes, randomly arranged. WordPress Newspaper is the latest premium theme of Gabfire Themes that is aimed to showcase your content in a unique package and take your website into next level. 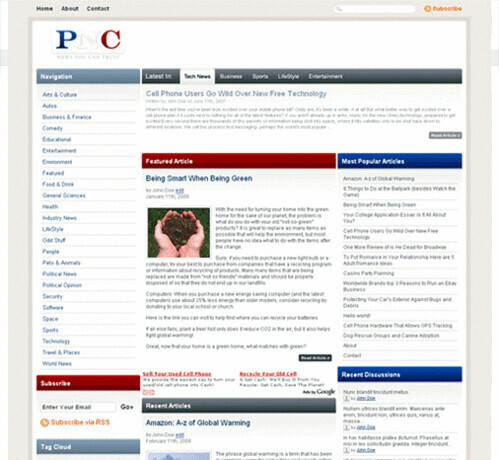 The theme is ad and search engine optimized, and has a unique NewsPaper layout that comes with following features. 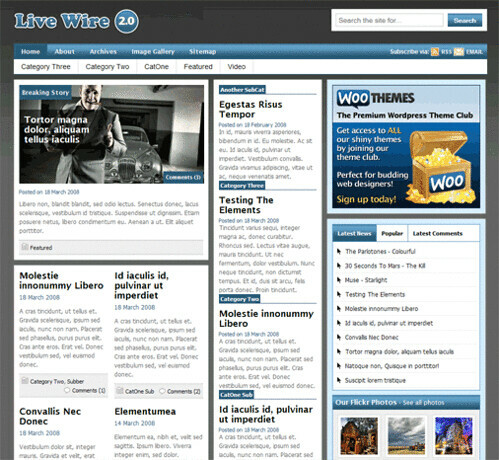 Live Wire is a magazine-type WordPress theme that is packaged with an impressive variety of designs and colour options that should make it appealing to just about any type of web publisher. It’s theme option’s panel entitles even the most novice of users to customize it’s flexible layout. Gazette Edition is arguably our most sophisticated-looking theme to date, whilst the trendy featured scroller makes it very unique. The clean, white layout with professionally designed content areas are perfect for users that’d like to run a community newspaper website or a product showcase. 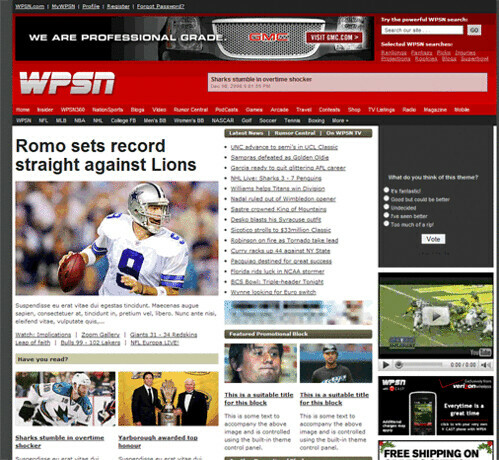 Start your own sports news publishing portal just like the professionals with this awesome ESPN clone for WordPress. 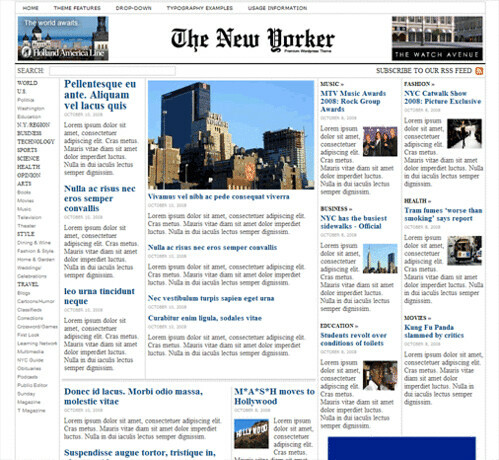 An incredible theme that allows you to start your own broadsheet online newspaper with this awesome The New York Times clone for WordPress. This themes enables you start your own WordPress powered news publishing portal that is optimized for generating online revenue. 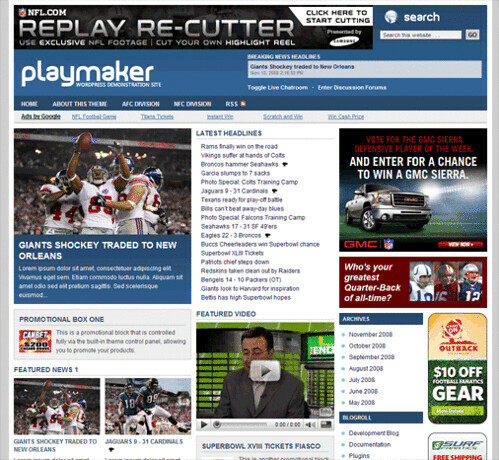 Start your own sports news & media publishing portal using the awesome power of WordPress and the ‘Playmaker’ theme. News publishing is a big industry and you can start your own news portal using a standard WordPress installation and this stunning theme. Skyye News Theme is a free WordPress theme designed for News or Magazine sites. It’s advanced template system gives you the ability to configure almost everything from the dashboard options menu. 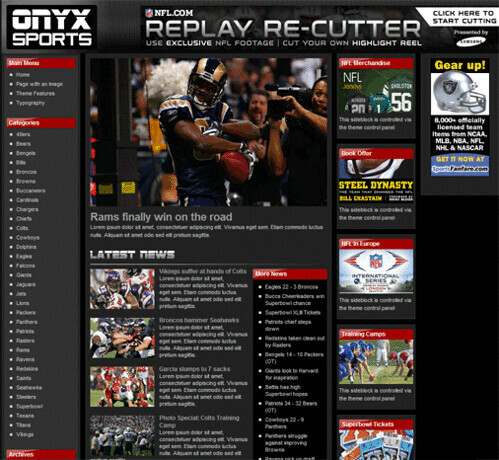 Nearly every aspect of the theme is dynamic, from the homepage, single posts, pages, archives, etc. buy News and start your site about tech, cooking or sports right away! 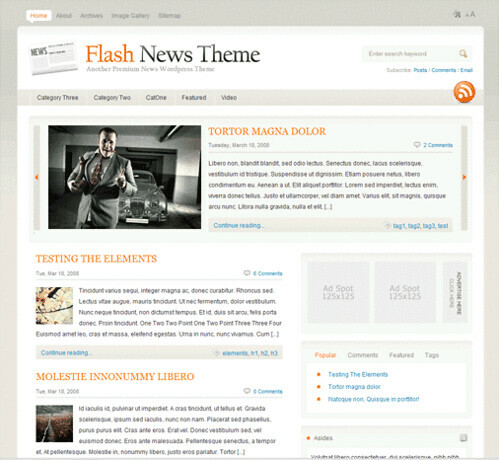 News CMS is – as the name implies – a news-slash-article-slash-cms WordPress Theme. The goal here was to provide a customizable theme that could be turned into any given news site with as little as a graphical face lift. The emphasis with News CMS is on customization rather than aesthetics. It’s one of the very first themes I did with the intent of release (about a year ago), but it still holds up so I figured I’d take some time and package it up as a Thanksgiving freebie. 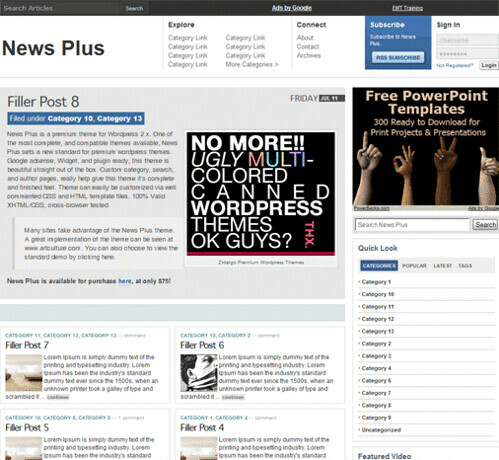 News Plus is a premium theme for WordPress 2.x. 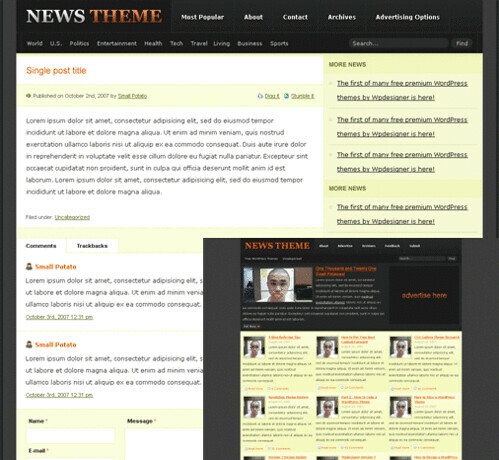 One of the most complete, and compatible themes available, News Plus sets a new standard for premium wordpress themes. Google adsense, Widget, and plugin ready, this theme is beautiful straight out of the box. Custom category, search, and author pages, really help give this theme it’s complete and finished feel. Proximity was developed primarily for ease of use, and I don’t use that phrase lightly. Just take a look at our instructional videos before you purchase. If you don’t agree that Proximity News is the easiest theme to install and set up, feel free to keep shopping around. But we’re pretty confident that you’ll agree, and be publishing content in no time! Magazine-News is a news / magazine-styled WordPress theme created for sites with a lot of content, and looking to maximize there Google adsense revenue. It is a three-column, WordPress 2.x, widget ready, adsense ready theme that is sure to give your blog that unique look that will garner some extra attention. 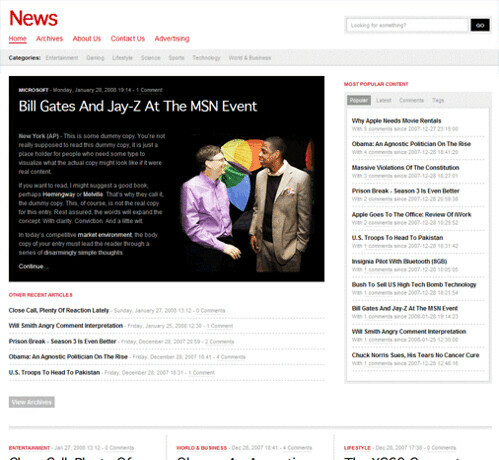 This theme is great for those looking to transform their blog into a dynamic news portal. My goal here was to create a great basis for organizing information while still maintaining a stylish and elegant design. 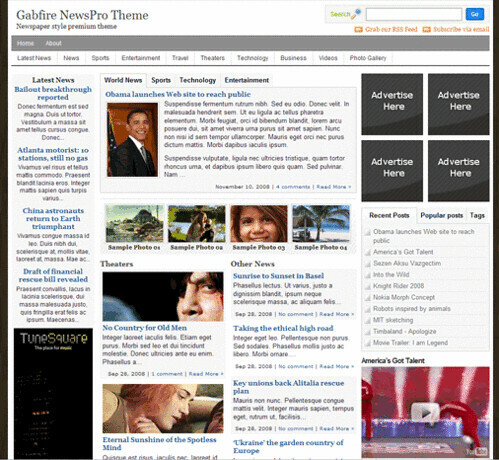 Gabfire NewPro is a multipurpose newspaper / magazine style WordPress theme, suited for anyone running a news and/or magazine style website. The NewsPro theme has four column homepage layout with featured article positions, compatible with the latest version of WordPress, drop down navigation menus, ajax tabs, built in Flickr support and automatic image resizer feature. 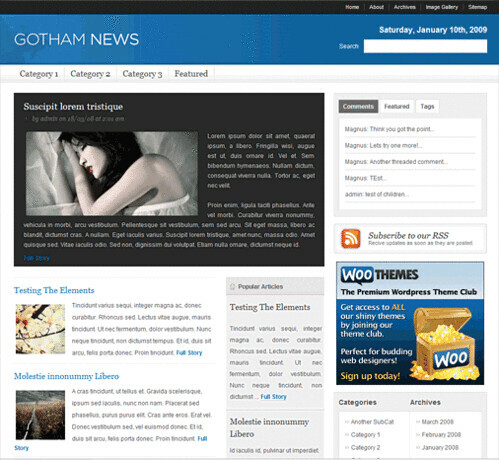 Gotham News is a clean and elegant news theme with a focus on creating a blank canvas with a strong structure to display your own personalized news; and broadcast it to the world. What more do you need from a news / magazine theme? Fresh News is our most balanced theme to date and the ability to use a standard blogging layout has made it our most popular theme to date. It is ideal for everyday bloggers that would like to upgrade from a free WP theme and finally add some income potential to their blogs. 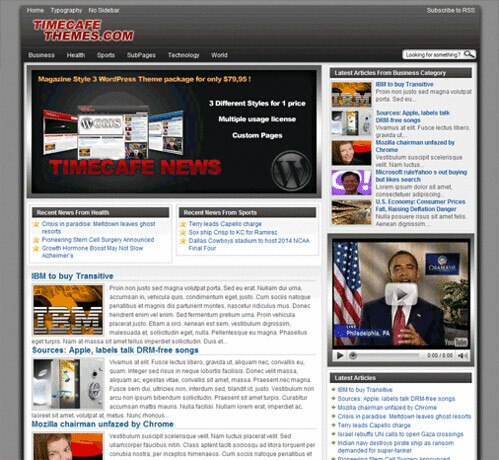 TimeCafe News is a magazine style WordPress theme with a clean design made for those who are using large number of pages. The theme is available in 3 different colors all included in the theme package for multiple usage on different pages for you or for your clients. Flash News is a firm favourite amongst our users and it is easy to see why… Using a beautiful, clean rounded corner layout this theme incorporates all the best blogging features. And its unique colour scheme picker allows you to mix & match the colours until you are perfectly happy! The News Print theme that has had to major incarnations before. This maintains the same kind of layout, except adds functionality for a fifth column in. Instead of having just one main sidebar as before, this theme has a wider sidebar that is split into two (so counts as two). There is the choice of having two main content columns, or three. 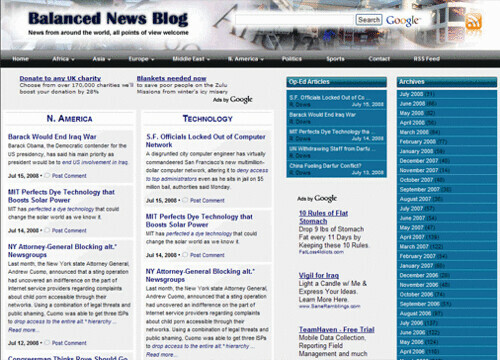 Visionary is an advanced theme suitable for news sites. The goal is to let you put your best content forward through the use of feature articles, so it doesn’t get lost in the rush of newer articles. Everything is configurable through the theme settings page and your widget panel. 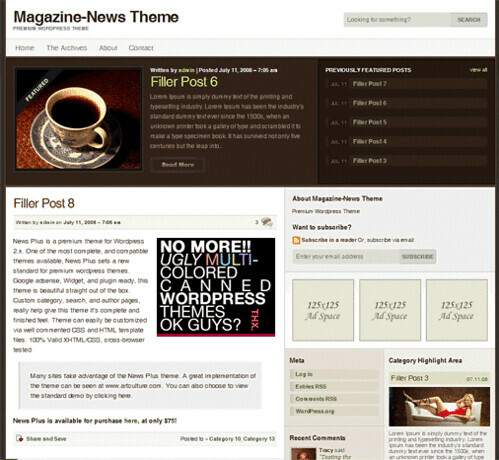 Jello-Wala-Mello is a news / magazine-styled WordPress theme created for multi-media sites. It requires WordPress 2.3 to work properly. iNews is a premium news WordPress theme that gives you maximum exposure for your articles and posts. NewsPress can be classified as some kind of mashup between a personal blog and a more content-heavy magazine-style layout. The sophistication of the layout can thus offer immeasurable value to ambitious bloggers that would like to display their content in a professional way. 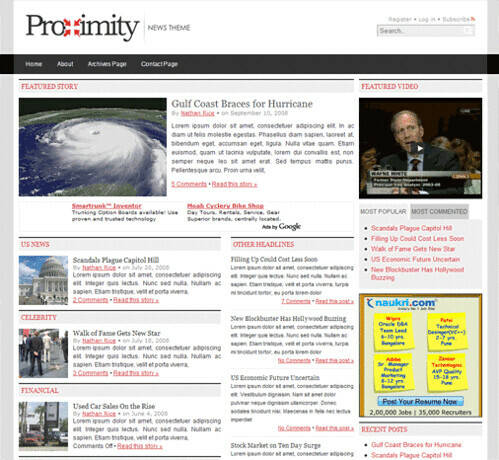 The Original Premium News Theme, was the very first premium theme that we ever released. This theme may be a bit rough around the edges (in terms of its looks), but we’ve used the same solid base for all our subsequent themes. Enjoy this themes’ minimalistic beauty and make it your own today! 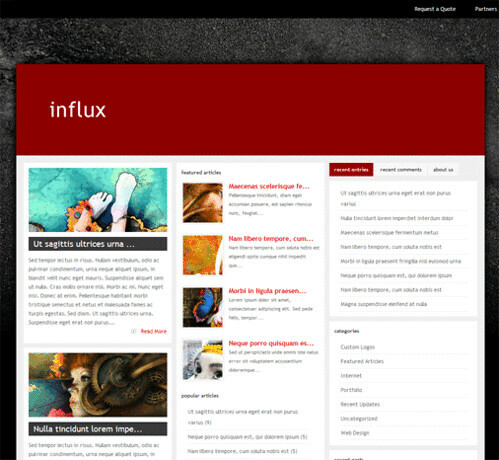 Influx is a single theme with 4 unique skins, all of which can be changed on the fly right from the wp-admin control panel. The 4 skins, Default, Grunge, Subtlety, and Oceanic, are each geared towards a different potential audience, which makes Influx a very diverse and capable design. 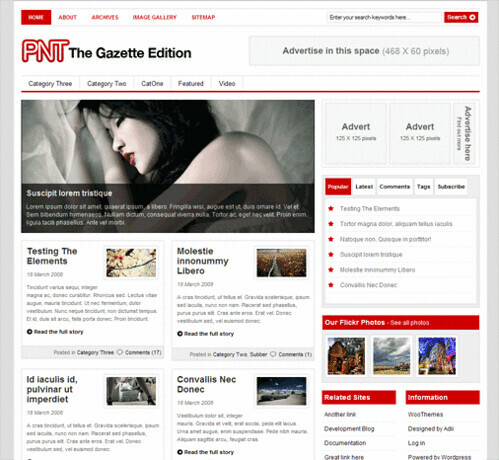 Download our new free wordpress theme, Old News. This hopes to be one of many free unique wordpress themes that we will be offering on our site. 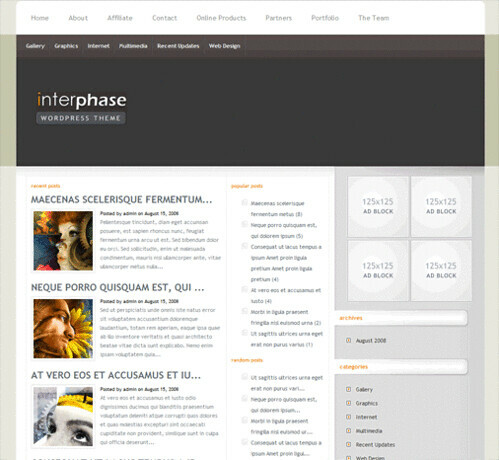 InterPhase is a beautiful, clean design that maintains a “cutting edge” feel without loosing its sense of professionalism. This theme comes with a large array of custom options pages that let you customize everything from the font color to the 125×125 banner image in the sidebar. 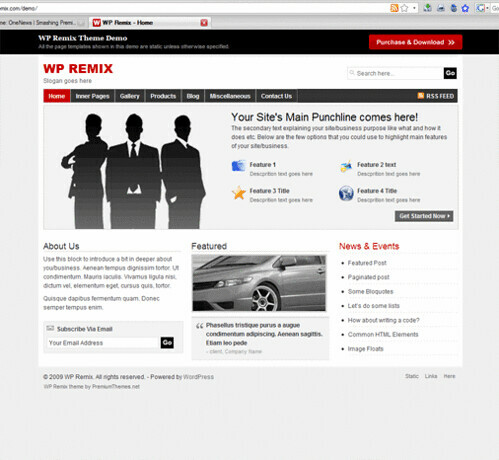 WP Remix is the only theme on the net that offers WYSIWYG Page editor, Over 50 Page Templates, Flexibility, Smart Drop Menu, Dynamic Codes, Add-on modules. Popurls is, as described by its founder, the ultimate source for the latest web buzz and news and a daily must-read for me. I thought maybe I can do something based on that model to keep track of the buzz in Singapore and thus OneNews was born. This also showcase the power of WordPress being more than a blog software. I hope I have covered all the available WordPress News Themes, kindly share the same if I have missed any good WordPress News Themes – will be helpful for WordPress users. very nice themes.. i am using one of fresh new themes.. Wonderful collections. It should be better if you provide direct link to download, not only live demo. Thanks for sharing. Cool list! I like Fresh News Theme more often! With such this themes WordPress give us much more opportunities in sites building. 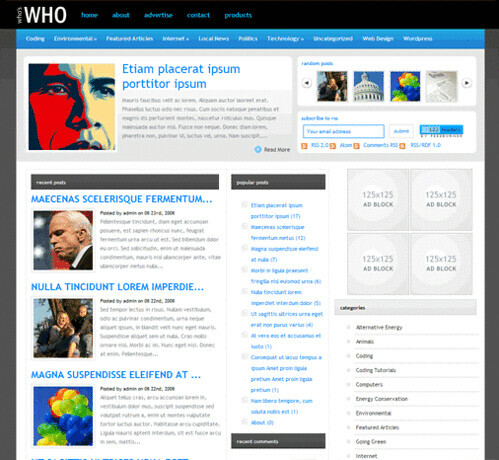 i am looking for a free news type of theme wp 2.7 can any 1 refer me to there? I am using Gotham News for my local news site. Its Great. GABFIRE themes DO NOT work with WordPress MU…do not be an idiot like me and buy this theme based on blowing paid reviews! You can get better mileage from many free themes out there, instead of getting weak support and no ability to use an expensive theme with a very popular WordPress version. Very good list; use some of them for my websites. Hii, Better it would have been if posted free themes with download links. Although these are good ones but still… :) Hope you can understand. Where are the download links? Why did you put a pack of pictures up here? Waste of time, dude. Nice list of news wordpress themes. Great collections, I’m definitely trying out one of those on my site. Thanks man! it was this blog post is where i found my new theme.. The Gazette version looks awesome! very nice list of themes! thanks for the nice theme-list! Oh man this is an awesome. I have been trying to track down some really good news themes for a project that I was working on and so far this is the most complete list I’ve seen. Great job! wow great themes. i was just begainer and looking for free themes and i got some of them downloaded and trying to edit them and install in my new site. thank you for your listings. 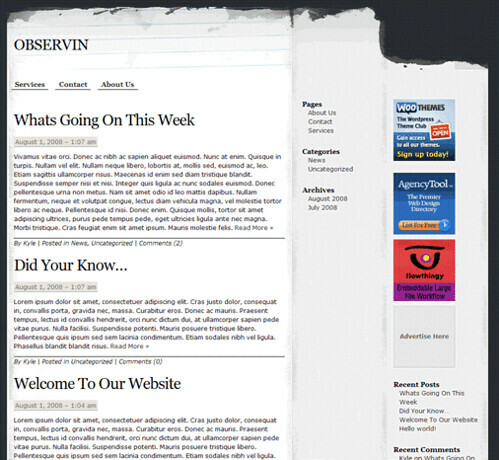 New Quality newspaper style Premium WordPress Theme. Wonderful themes, but basically for news blogs. 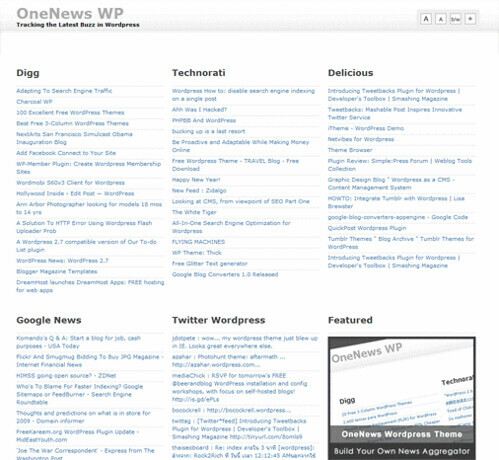 Excellent collection of WordPress news themes. This is a very good designs,..i will make sure to download some themes from,as i have created a new blog using word press which is a free blog,..i will make sure to add one of the theme from this blog and start posting a new posts ,,which is very useful..
Is it possible to auto feed the content from other news sites?? The most I like is the second one the live wire which would best go with news website and rest of them are also very good indeed. Great List Thanks for sharing ,where can i download these themes? i am from http://muasamvui.com and i am using your theme ! thanks ! I get it huge list of wordpress themes.Above all the themes are excellent creativity. Very useful collection. Thanks for all theme. You shared huge list of word-press themes. All are awesome! !